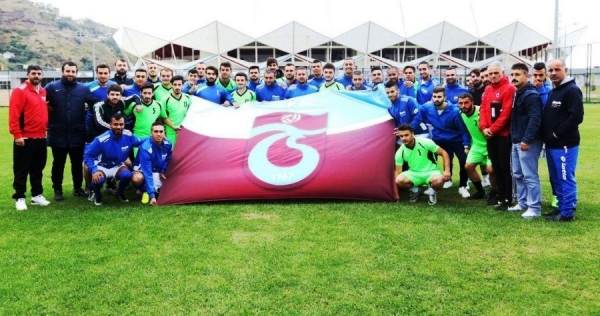 Al-Muazzafin-Burj Al-Luqluq football club ended its training camp in Trabzon, Turkey with a match against the Turkish club “Molaka” on Trabzon field, with the participation of Trabzon Club Management, Al-Muazzafin – Burj Al-Luqluq, Molaka and the Jerusalem Club Diving Team who came for a training camp in Turkey and were heading to Georgia with their trainer Khamees Edkaidek. The training camp continued for 9 days with a morning and evening training programs with the trainer Faraj Abu Ramouz in addition to the technical and administrative team. The trainer Abu Ramouz insured that the team will continue practicing once they go back and they will maintain the achievements of the imprisoned trainer Nihad Zughayyier. Moreover, Trabzon Mayor Dr, Orhan Fouzi, welcomed the Palestinian mission in his own office and showed his contentment of this visit.